It was a very difficult decision to make, as so many participants in the Walk to Answer TTP Together showed amazing TTP spirit! But the winner of the first ever Walk to Answer TTP Together Spirit Award is…. Pam Smith and her team - Island Walkers! Pam and her team did an amazing job of showing their TTP spirit, while also raising life-saving awareness for TTP during their Walk to Answer TTP Together! Not only did they have 20+ people walk for 2 hours in educational walk day t-shirts, they also decorated a small booth with balloons and signage! For their walk they made unique hand signs that could easily be carried, as well as decorating canisters with the walk logo for small change donations to go towards the team's ultimate fundraising goal! 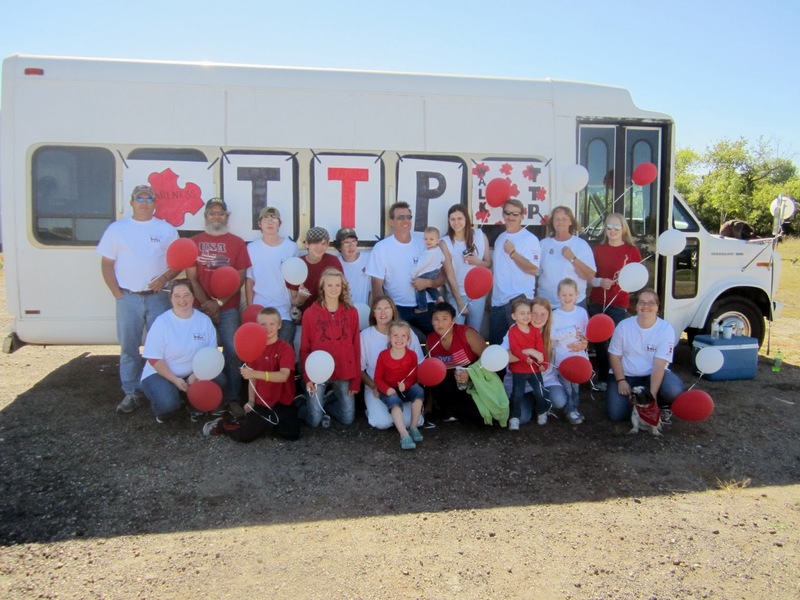 The icing on the TTP Spirit cake was their efforts to also garner attention from a local media station, where they were interviewed for TV, while also attracting the attention of the Canadian Blood Services PEI Facebook Page to get their efforts recognized by posting a picture of their team! 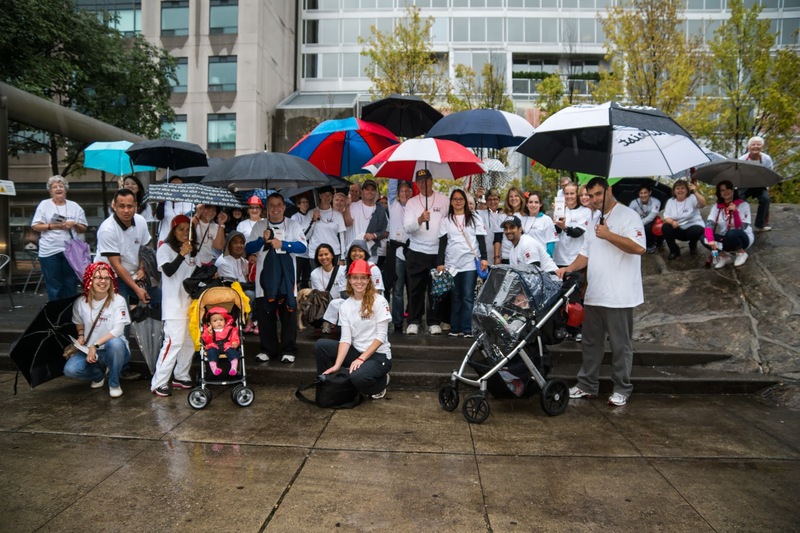 Great job Island Walkers and thank you for your participation in the 2013 Walk to Answer TTP Together! This year's unique prize that will be sent to Pam Smith (captain of the Island Walkers)! As we mentioned above, this was not an easy decision for us as so many of you really went for it and showed your TTP awareness spirit across the globe! 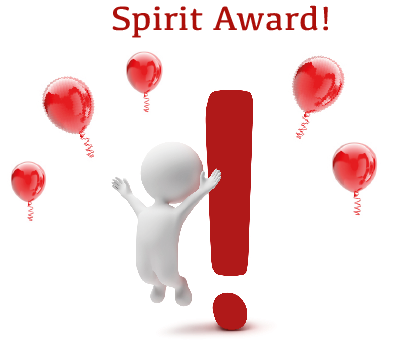 Check out the remarkable spirit other participants showed during the 2013 Walk to Answer TTP Together! The Toronto Walkers dressed up with red hats, wigs, necklaces and balloons to show their TTP awareness spirit! 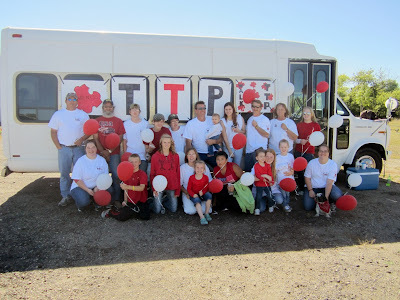 Team Cindy Moes used balloons and bristol board signage to show their TTP awareness spirit! Audrina's Army had personalized T-shirts made for all team members to show their support for Audrina! Thank you again to everyone who participated and donated. The 2013 Walk to Answer TTP Together could not have been as successful without you!